Next weekend, our parish celebrates its feast of Our Lady of Mount Carmel. Although the actual date in the Universal Calendar is 16 July, in Carmelite parishes it is common to observe the solemnity on the nearest Sunday. Furthermore, as a Carmelite parish, we use a special Carmelite Lectionary and Sacramentary which contains readings and prayers selected by the order for the celebration of feasts particular to its own calendar (the feast days of Carmelite saints, etc.). As such, the readings we will hear on the parish feast day are specific to the celebration of Our Lady of Mount Carmel in Carmelite parishes, namely John 19:25-27, 1 Kings 18:42-45, and Galatians 4:4-7. One unique aspect to the readings from the Carmelite Lectionary for this feast is their reference to the prophet Elijah, who we know is a key figure in Carmelite spirituality, and served as inspiration to the early hermits who lived on Mount Carmel in the twelfth century. From the choice of prayers, those we will use this year will be the same as last year; focussing more specifically on the Carmelite order. Last year these were chosen as we celebrated fifty years of Carmelite ministry in Wentworthville. We will use them again this year as the Carmelites celebrate another milestone. This year our feast day celebrations will centre on this year’s 800th anniversary of the foundation of the Carmelites; that is, since they were given a rule of life by St. Albert, Patriarch of Jerusalem. As we know, the Carmelites did not have a particular founder like other orders such as the Benedictines, Dominicans and Franciscans. 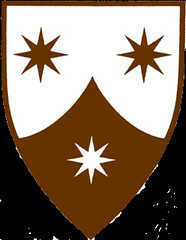 Consequently, this granting of the rule by St. Albert truly marks the formal beginnings of the Brothers of the Blessed Virgin Mary of Mount Carmel. Next Sunday’s liturgy will reflect this universal Carmelite celebration. Also, our parish community will present our Carmelite community with a framed copy of its rule for permanent display in the priory. Hi Fr. Grech. Great to see our site’s even got some Maltese visitors, especially given we’ve got such a large Maltese community in our own parish. Hopefully this link can be of use to you.